Bradford Miller Law, P.C. focuses on real estate law, landlord-tenant law, and estate planning. Because of our narrow focus, our clients know they are receiving the best representation they can receive in those areas. 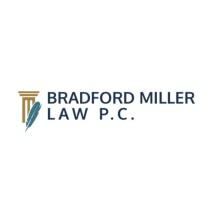 At Bradford Miller Law, P.C., we believe every client is important and always try to give them the best representation possible. We are located in downtown Chicago however we service clients all across Chicagoland. Mr. Miller also offers a free 15 minute consultation.